In what has become something of an annual ritual, stamp prices will be increasing once again on May 11th. First class letters will be increasing from $0.42 to $0.44 and prices for other services will likewise be adjust upwards. 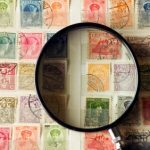 The good news is that the availability of forever stamps means that you won’t have to scramble to find $0.02 stamps after the increase. In addition to this price increase, the US Postal Service has recently considered dropping Saturday delivery. What do you think about this? Honestly, I really wouldn’t miss an extra day of service. In fact, it might make my weekends just a bit more relaxing. Oh, and in case you’re curious, I put together a historical graph of stamp prices around this time last year. 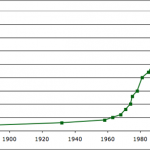 It’s not inflation adjusted, but it still gives you a sense for how much things have changed over the years. I bought a ton of forever stamps when they came out. Turns out to be a great buy. I think dropping Saturday is a terrible idea,esp. for all those that work all week and have only Saturday to get their errands competed. I work in the medical field and during the week it is almost impossible to really get much done! Keep the Saturdays!!! My clients pay by sending checks in the mail. And so no, I would most certainly NOT appreciate a cutback in mail delivery. A check that gets mailed on, say, Wednesday doesn’t get here till the following Monday? A credit card bill mailed on Monday from some boiler room in Utah doesn’t get here for a week, and a snail-mail payment may not get back to the lender for another week? Gee, thanks. Not like we didn’t have enough money worries, eh? Like everyone else, I don’t much care if they drop a day. As it is, Monday mail comes a lot later than the rest of the week, presumably because it stacks up on Sunday. If they drop Tuesday, then I guess Wednesday will be later. I don’t do a lot of mailing as it is and hope to do less. Excellent point about Netflix. I hadn’t thought about that. I think they’ll have a hard time getting the service reduction through. At the very least, I don’t see how this should be allowed given how many companies depend on the mail system as part of their business model. Netflix is the best example, but thousands of other businesses rely on the postal service. Personally, I like the NYT piece suggesting that stimulus money be used to convert the postal fleet to electric cars. I had heard the idea of Tuesday being the day cut, and I honestly think it would be a poor strategic decision for the post office. Most individuals don’t give a hoot if they don’t get mail on a weekday, but many businesses depend on the post office to send/receive letters and packages every day during the week. If the post office cuts service on a weekday, it is likely many business will shift a good portion of their package and priority/express business to FedEx and UPS. I would be okay with cutting Saturday. Personally I don’t think I’d miss Tuesday delivery much either, although it would take some getting used to. Hmm, one less day of mail delivery means one less day that our dogs barking at the mailman wakes up the baby from his nap. I hereby approve this for the next 3 years. If they drop a delivery day, I’ll be asking Netflix for a rate reduction since that will increase the turnaround time on DVDs by mail. I’m on the 1-at-a-time unlimited plan and can do 2 DVDs a week if I watch it the day it comes and send it back out the next day. Losing a delivery day shifts it to less than 2 per week. get rid of the saturday mail or the tuesday mail – it doesn’t matter! my mail now consists mostly of unsolicited items – catalogs, charitable solicitations and junk mail. i pay my bills online and request that statements not be sent because it is a waste of paper. ironically, all those charitable solicitations come with return address labels that would take me a lifetime to go through since i mail about one item a month, if that. i love the convenience of the postal, don’t mind the rate increase and still use mail a lot at work (tax office). however, one less day of mail is a great idea! While the price increase in stamps could be a pain for those who send ALOT of mail, it really isn’t that big a deal for many people now since so many bills can be paid online or through auto debit, its so much cheaper to call or email than it used to be, etc. I rarely mail anything anymore, except for packages. And, considering I can send a letter or package to friends who live hunreds or even thousands of miles away for 42 cents or $9, I really can’t complain. Maybe we’ll get less junk mail if prices go up. How will I get my daily WSJ out in the sticks if mail service is cut? I did ask my postman about it last Saturday, and he said the same thing: that they’re looking at skipping Tuesdays not Saturdays. 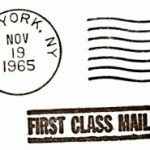 If anyone is interested in learning more about Forever Stamps– check out Clair Schwan’s post at Frugal Living Freedom . . .
Actually as I understand it DDFD, the Forever stamp concept came about because the Post Office wanted to increase prices about 8-10 cents, but it could not be approved to do this all at once, but it was allowed to spread it out as one increase per year over about 4-5 years (I do not know all the details). Anyway, as a result, there would be a massive need for 1-2 cent stamps every year, consumer annoyance, etc. Thus, the forever stamp concept came about. They get money sooner (GOTTA BUY BEFORE THE INCREASE!!!) and do not have to deal with tons of customers in line that just want 1-2 cent stamps. Historically, stamp prices have risen slower than inflation though, so really you are still probably getting a good deal. As for losing a day, I have read online that the post office is specifically asking if they can reduce delivery from 6 days a week to 5 days a week. 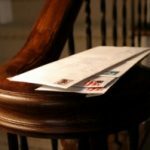 At first blush, this seems like it would mean dropping Saturday delivery, but after reading more in-depth about it, I have seen that the USPS has done feasibility studies showing that dropping a mid-week day like Tuesday might make more sense because those days have the lowest mail volume. If they did this though, I imagine that they must still be opening the offices because I cannot imagine they would shut down the offices during the week (I work downtown and see the giant piles of mail that are dropped off by local corporations each afternoon). Less service at a higher price– now that’s the American way! My opinion of the Forever Stamps is that they were nothing more than the start of easier price increases . . . Finally, without looking at the historical chart (I already know the numbers as a stamp collector), you can see that as people sent fewer letters because of fax machines, FedEx, email, and now texting (volume declining) the price has sharply risen (simple economics). only a few more years and my bottom drawer collection of $.28 stamps can be double downed!